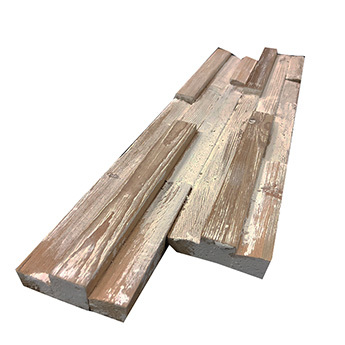 This light brown timber cladding has a subtle whitewash style and is perfect for providing walls with a unique feature. The pine wood timber panels are of varying sizes and are attached to a backing board for easy installation. 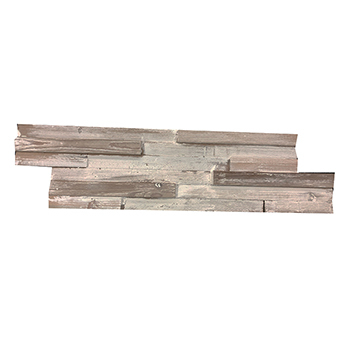 This wood cladding is ideal for creating a rustic appearance and is particularly well suited to farmhouse style interiors. In living rooms, you can create a distinctive look by using this timber wood cladding as a feature wall. It is also acquired for shops, cafes, hotels and restaurants. 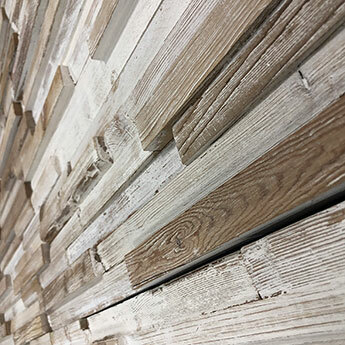 This Whitewashwood Timber Cladding can be complemented on floors with products from our Feature Tiles range.